TECHNICAL *Weight: 28G *Fabric: Blocker Weave, 70D Nylon Ripstop, Wicking Knit Tricot Backing *Dimensions: 13 x 18cm DESCRIPTION: RFID blocking technology helps keep personal information, personal. 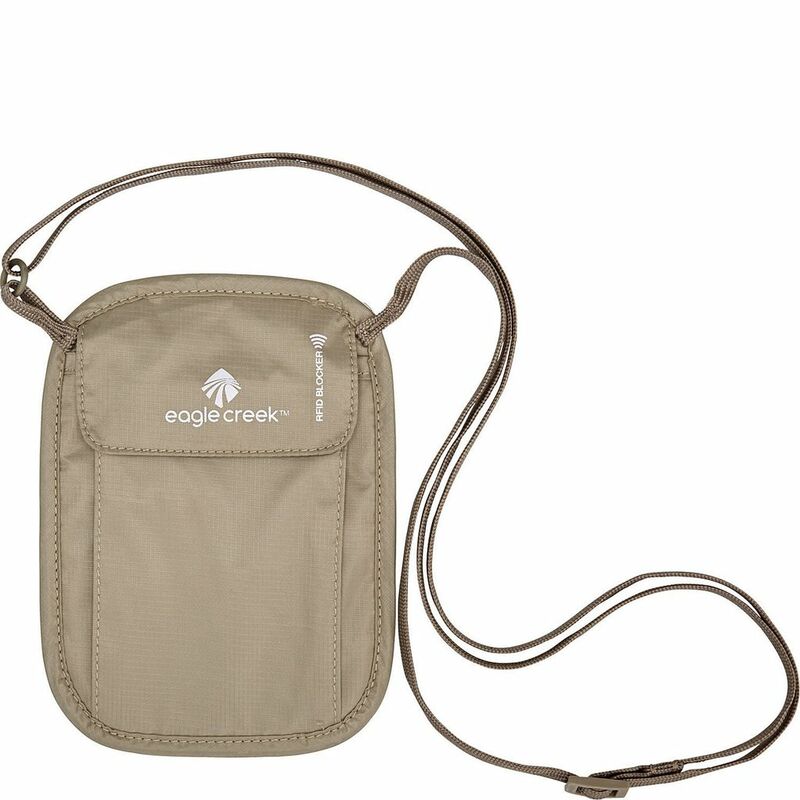 Keep documents and personal identification items out of sight in this simple hide-away neck pouch. With a mesh divider in the main pocket for even more organization and adjustable strap with strap keeper, this neck wallet is great for international travel.